The Sultan of Brunei bought his private London residence from Prince Charles right before the prince married Diana. 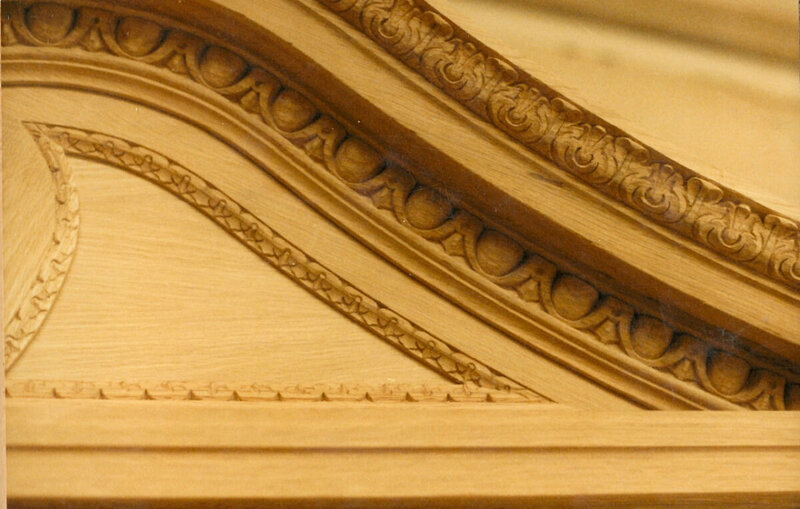 We partnered with Paddock Hall, a company in Ipswich, England, to produce a number of projects for the residence, including custom oak woodcarving for the library. 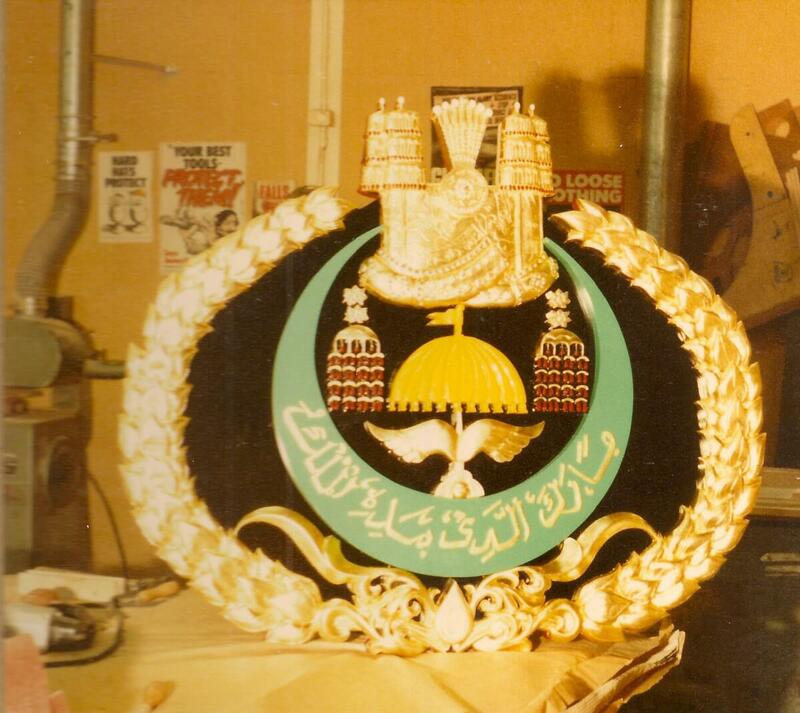 Back in the mid-1980s, Agrell Architectural Carving was commissioned to carve, color, and gild a coats of arms and a large mirror frame for the Sultan’s official residence and the seat of the Brunei government, the Istana Nurul Iman palace. 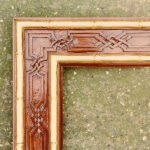 The detailed carving captures Brunei’s Islamic influences. 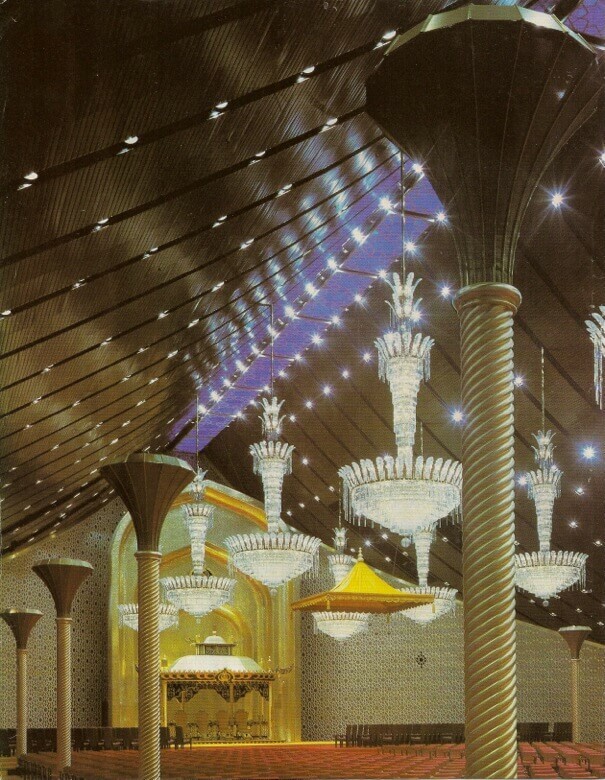 Filipino architect Leandro V. Locsin designed the Istana Nurul Iman palace, which in Arabic means Palace of the Light and Faith, using a repeating motif of gilt domes and vaulted ceilings. At around 2.2 million square feet, the palace is the largest single-family residence ever built. In fact, it is bigger than Versailles. 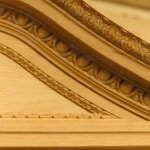 A detail of an oak pediment for the Sultan of Brunei’s private London residence, hand-carved by Agrell Architectural Carving. 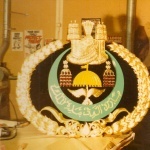 The Sultan of Brunei’s coat of arms, hand-carved, painted, and gilded by Agrell Architectural Carving. 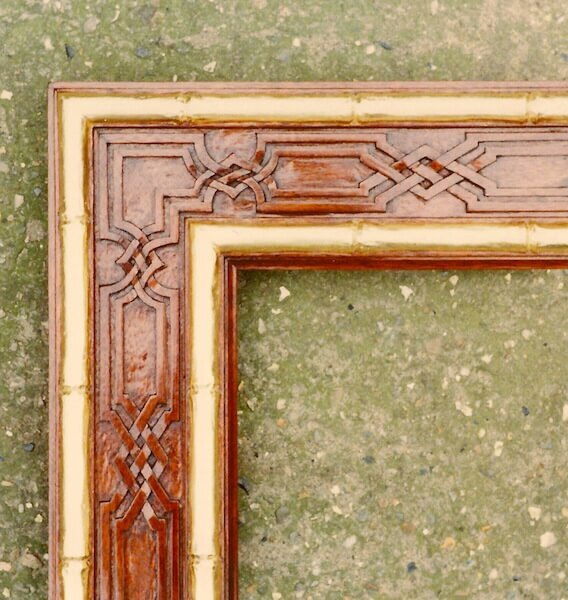 A chinoiserie-style frame, hand-carved, painted, and gilded by Agrell Architectural Carving for the Sultan of Brunei. 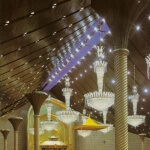 The Sultan of Brunei’s Istana Nurul Iman palace.